Egyedül szeret szaunázni, vagy nincs túl nagy hely a lakásban? 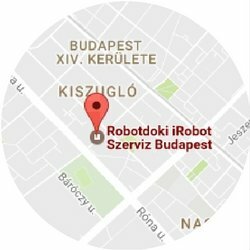 Teljesen mindegy, az InfraVit egyszemélyes szaunáknak elég akár 1 nm hely a telepítéshez. 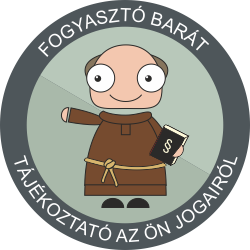 Egy kis lakásban is meg lehet találni a helyét, ha elég kreatívak vagyunk. Powered by Cincopa Video Hosting for Business solution.InfraVit Egyszemélyes kabinokoriginaldate 1/1/0001 6:00:00 AMheight 682width 909camerasoftware Watermark Factory 2.originaldate 1/1/0001 6:00:00 AMheight 682width 909camerasoftware Watermark Factory 2.originaldate 1/1/0001 6:00:00 AMheight 682width 909camerasoftware Watermark Factory 2.originaldate 1/1/0001 6:00:00 AMheight 682width 909camerasoftware Watermark Factory 2.originaldate 1/1/0001 6:00:00 AMheight 682width 909camerasoftware Watermark Factory 2.originaldate 1/1/0001 6:00:00 AMheight 682width 909camerasoftware Watermark Factory 2.originaldate 1/1/0001 6:00:00 AMheight 682width 909camerasoftware Watermark Factory 2.originaldate 1/1/0001 6:00:00 AMheight 682width 909camerasoftware Watermark Factory 2.originaldate 1/1/0001 6:00:00 AMheight 682width 909camerasoftware Watermark Factory 2.originaldate 1/1/0001 6:00:00 AMheight 682width 909camerasoftware Watermark Factory 2.originaldate 1/1/0001 6:00:00 AMheight 682width 909camerasoftware Watermark Factory 2.originaldate 1/1/0001 6:00:00 AMheight 682width 909camerasoftware Watermark Factory 2.originaldate 1/1/0001 6:00:00 AMheight 682width 909camerasoftware Watermark Factory 2.originaldate 1/1/0001 6:00:00 AMheight 682width 909camerasoftware Watermark Factory 2.originaldate 1/1/0001 6:00:00 AMheight 682width 909camerasoftware Watermark Factory 2.originaldate 1/1/0001 6:00:00 AMheight 682width 909camerasoftware Watermark Factory 2.originaldate 1/1/0001 6:00:00 AMheight 682width 909camerasoftware Watermark Factory 2.originaldate 1/1/0001 6:00:00 AMheight 682width 909camerasoftware Watermark Factory 2.originaldate 1/1/0001 6:00:00 AMheight 682width 909camerasoftware Watermark Factory 2.originaldate 1/1/0001 6:00:00 AMheight 682width 909camerasoftware Watermark Factory 2.